Cranbrook, B.C. 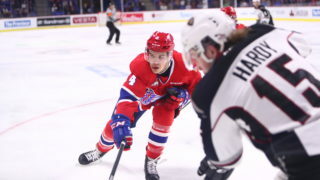 — San Jose Sharks prospect Jake McGrew had a three-point night and rookie Adam Beckman scored his first career WHL goal on Friday as the Spokane Chiefs earned their first win of the 2018-19 regular season, 7-4 over the Kootenay ICE. Riley Woods, who scored the Chiefs’ first goal of the season a week ago at Tri-City, once again opened the scoring, finding a rebound for his second goal at the 11:04 mark of the first period. 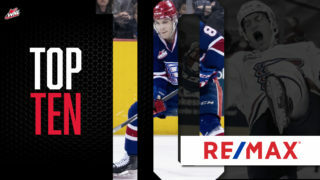 McGrew, playing in his first game since signing his entry-level contract with the Sharks, earned an assist along with defenseman Luke Gallagher. After the first intermission, Eli Zummack potted his first of the season with a highlight reel play, dragging the puck across Kootenay goalie Duncan McGovern before flipping it in backhand to make it 2-0 Spokane at the 6:33 of the middle frame. The Chiefs extended the lead on the power play with 4:55 left in the period as McGrew lasered home a one-timer from just above the left circle for his first goal of the season, with assists to defenseman Nolan Reid and Zummack. 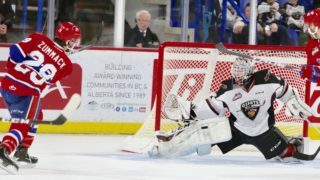 After Kootenay found the net with a power play score of their own, the Chiefs responded to reclaim a three-goal advantage at 4-1 as Beckman found open space in front and capitalized for his first career WHL goal with under a minute remaining in the period. 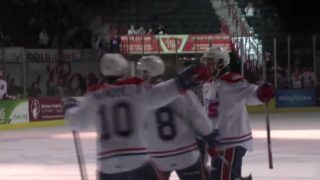 Luke Toporowski, in his first game back since participating in the 2018 All-American Prospects Game in Minnesota, tallied an assist on the play with a perfect feed from behind the Kootenay goal. Defenseman Matt Leduc scored his second career goal on a screened shot from the left side at 6:44 of the third period and it looked like the Chiefs would coast to the win with a four-goal cushion. Kootenay scratched their way back into the game, scoring twice within 30 seconds midway through the period and again on a power play with 2:47 left in regulation to make it 5-4. 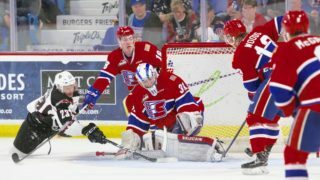 The Chiefs hung on as Toporowski and McGrew potted back-to-back empty netters to seal Spokane’s first victory of the regular season. Spokane finished 1-for-4 on the power play and 2-for-5 on the penalty kill. Dawson Weatherill started in goal for the Chiefs and made 24 saves on 28 shots faced, while McGovern stopped 25 of 30. 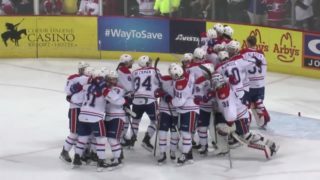 The two teams will face each other in a rematch on Saturday night at Spokane Arena.